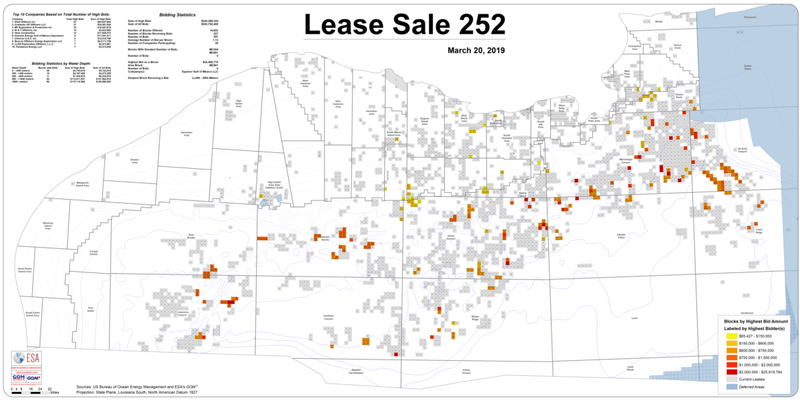 In an effort to keep our data as up-to-date as possible, a map for today's Lease Sale can be downloaded here. Please remember, these blocks have been available to include in your maps in GOMsmart and ArcGIS since 12:10PM CDT on March 20th. The past year has seen a focus on exploiting the massive wealth of data in GOM3, bringing new analyses, tools and data. The plan is to continue developing these tools (and create new ones) with the guidance of our clients. As always, we encourage you to attend this free conference as we are eager for your input. The Annual User Conference will be held on Thursday, April 25, 2019 at Anadarko's offices in The Woodlands. Registration is now available. We look forward to seeing you on April 25th. Here again is the link to register. More details will be included in newsletters in upcoming weeks.